The A-Z List plugin allows you to insert an A-Z index into a page or post. It’s a quick and easy solution for situations where you need to list a large number of items in a filterable and easily searched A-Z list. 3. Click on A-Z List icon. 4. Select your preferred list option and then click OK. List style: Unordered list or order list. Split into columns: One, two, three or four columns. 5. 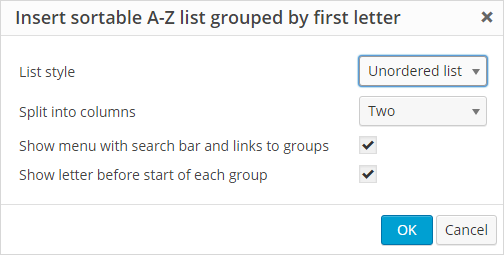 The A-Z list window will close and you now add your list items to your page (or post). List items can be entered in any order. 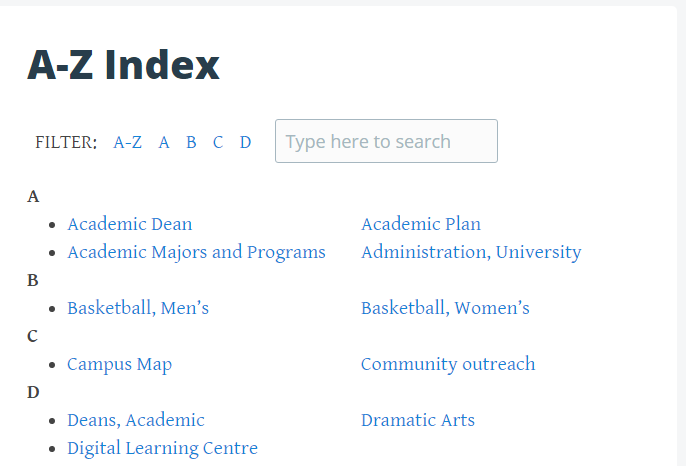 Your lists will be displayed in columns and sorted in AZ order when you view your published page. 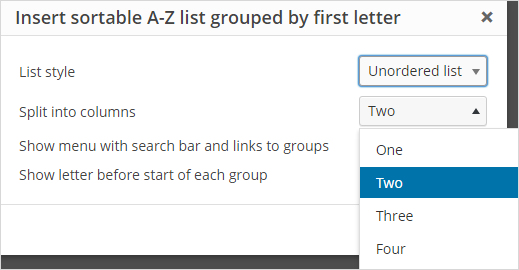 The menu at the top of the A-Z list allows readers to filter items by letter or search using keywords. 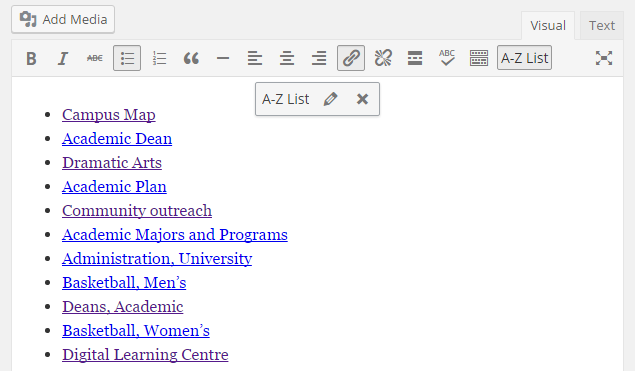 Click on the Edit AZ List icon to make changes to how your list displays. For example, you might want to edit the list to change it from displaying as a two column to a three column list or display as an ordered list.